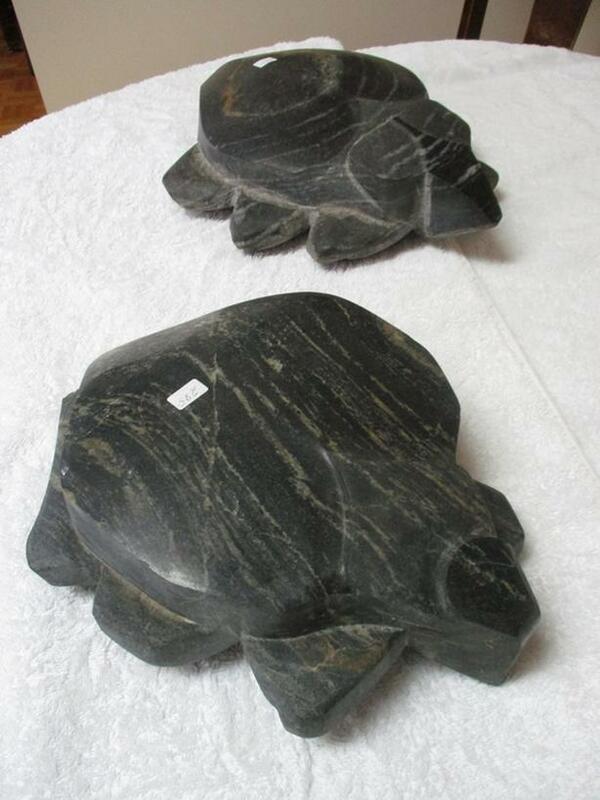 THERE ARE TWO MATCHING HAND CARVED PIECES OF STONE ART. THE FIRST IS 15 INCHES LONG AND 11 INCHES WIDE. THE SECOND IS 12 INCHES LONG AND 10 INCHES WIDE. THERE IS HAND CARVING ON THE BOTTOM OF EACH. ( SEE PHOTO}. THESE EXCEPTIONAL PIECES SOLD SEPARATELY FOR $285.00 EACH.